Yahoo is another big user, with Drupal sites like Yahoo! Research. Many universities use Drupal, including Harvard with its Science and Engineering branch, and Standford's Humanities Center. It is not a big surprise that educational institutions use Drupal, if it is good enough for NASA. Many celebrities use Drupal for their sites, including Eric Clapton, Jennifer Lopez, Avril Lavigne and Britney Spears. Drupal has no preferences – far from the entertainment industry, Greenpeace UK relaunched using Drupal to join another user, Amnesty International, while the United Nations uses Drupal to help End Poverty and Fight Hunger. We also see Drupal being used by the media. Three examples are Lifetime, Fox Searchlight and The Onion. 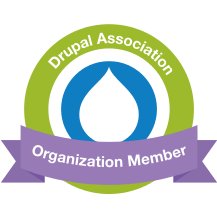 Technology professionals also use Drupal, such as Eclipse, the Open Source Initiative, Ubuntu, and Novell. Even competing web technologies often resort to using Drupal, as is the case with the Java Technology Collaboration site.